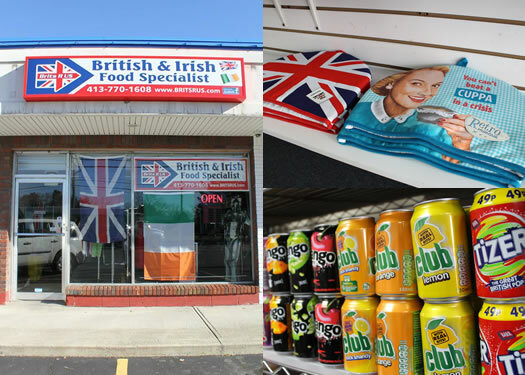 UK native Alan Greaves opened his first Brits R Us store in Pittsfield, Massachusetts a about two years ago because, as he explains, he got sick of driving to NYC and Boston for the English and Irish treats -- meats, especially -- that he loved. "I wanted to get the stuff. I was tired of driving over 100 miles for bacon and sausage." Greaves noticed a lot of people from the Albany area visiting the Pittsfield store. "They were coming in two or three times a month," Greaves says. "So I figured if I opened up here, maybe they'd come in two or three times a week." 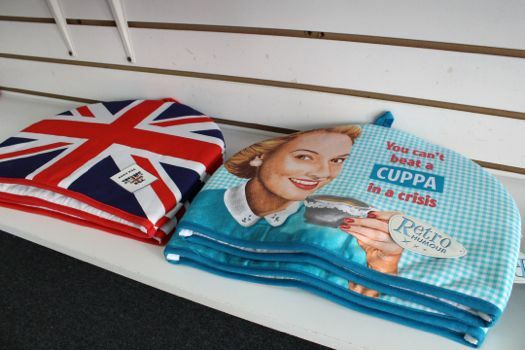 He notes that most customers are British expats, but the stores also draw Americans who have visited the UK, or are just curious. 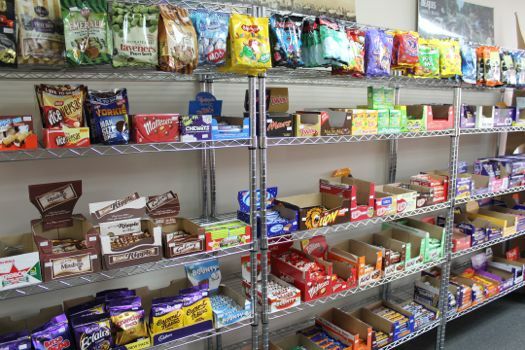 The most popular items are the frozen foods and, of course, the candies. The candy section does not disappoint. 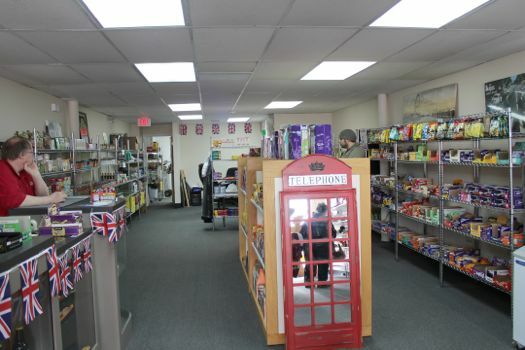 Brits R Us has a huge variety of Cadbury chocolate, along with different flavors of Kit Kats, Aero Bars, and other UK confections. While some of the sweets look the same as what we have here -- like Mini Eggs and Cadbury CrÃ¨me Eggs -- they are not actually the same product. 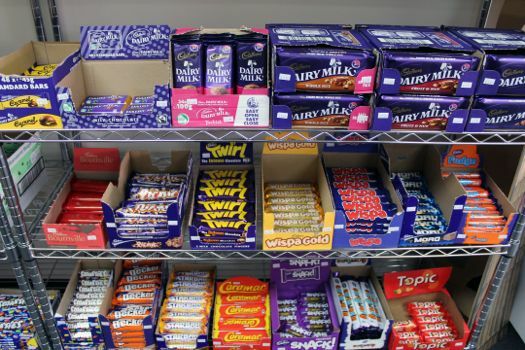 Greaves explained that Cadbury products sold in the United States are actually made by Hershey, while his imports are made directly by Cadbury. OK, but do they really taste any different? I took one for the AOA team and did my own taste test comparison between the UK Cadbury CrÃ¨me Egg and the US "Cadbury" CrÃ¨me Egg. The result? There were absolutely noticeable differences between the US and UK eggs. When biting into the American version for the first time, I was overwhelmed by the super sweet filling. The chocolate shell is more of an aftertaste. Upon further inspection the chocolate is a bit oily and not all that delicious. The UK version has much more substantial chocolate, with a thicker shell and better flavor. The inside filling is still sweet, but it's not as shocking as the US egg. Both myself and my co-taster preferred the British Cadbury Egg. When you're done browsing the candy there's lots of other British and Irish treats. 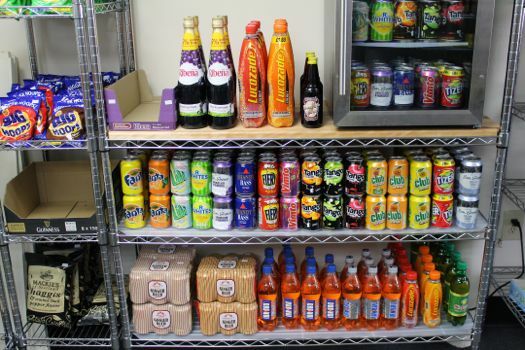 The store stocks jams, teas, sodas, chips, condiments, and loads of shelf-stable goods -- all imported from Great Britain. 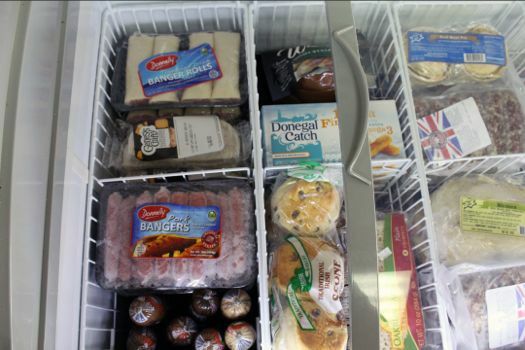 There's also a frozen sections where you can get things like bangers, bacon, and scones. 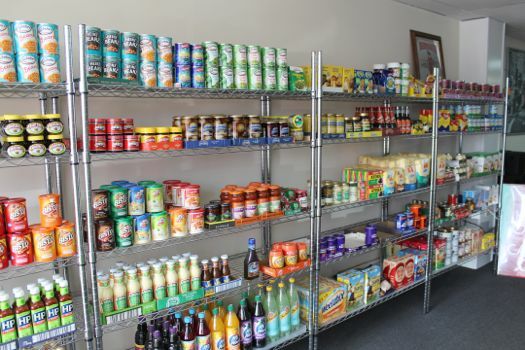 While much of the stock stays the same, some items are switched out seasonally. 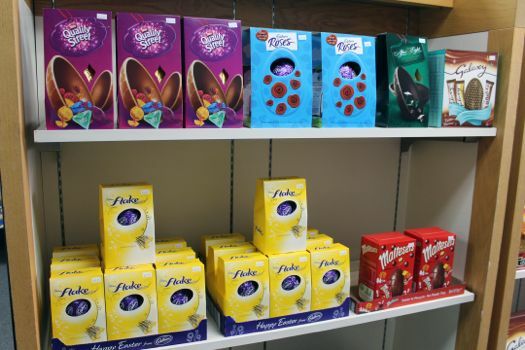 Right now there are loads of Easter goodies, including British Easter egg chocolates, which are candy inside a chocolate shell. 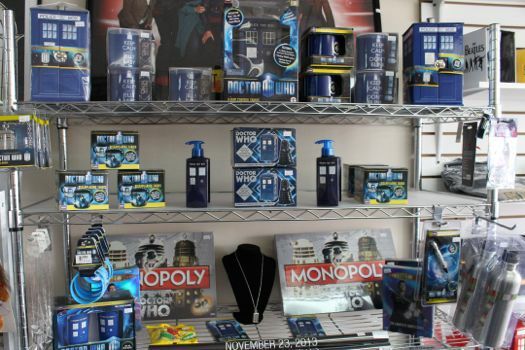 Dr. Who fans can find a variety of merchandise in the small gift section where you can also get some fun British housewares, because who doesn't need a teapot cozy. Was there a price difference between the "real" Cadbury vs. the US Cadbury? I could never get excited about Cadbury chocolate, even when visiting England. After all, it's milk chocolate and I've already gone over to the dark side. But if they sell Mint Humbugs, then I'm headed right over. Albany Jane- I don't remember the exact price, but it was somewhere between $2 and $3 for the UK Cabury egg. At CVS I got the US version 2 for $1 ("on sale"). Thanks for the reminder about this place. I can never seem to remember to stop in, mainly because that part of Wolf/Central/Northway is to be avoided like the plague. Seriously though, you really did miss an opportunity by not titling this post "For British Eyes Only". A Doctor Who section? That's pretty savvy. Also, I spy with my little eye jars of Marmite and Branston's pickle. I'll be stopping in for sure. Don't miss the English Pork Pies in the freezer case--they come from a company in Buffalo started by 2 expats (there was an article in the Buffalo News about them sometime ago)--and they are a treat! Two words: JELLY BABIES!!!! Couldn't find this tasty and unique confection anywhere local - until now. By jove, i will have to pop over! Love prime ribs,and pop overs! Am sure they won't sell those there, but maybe i can buy some English cologne? 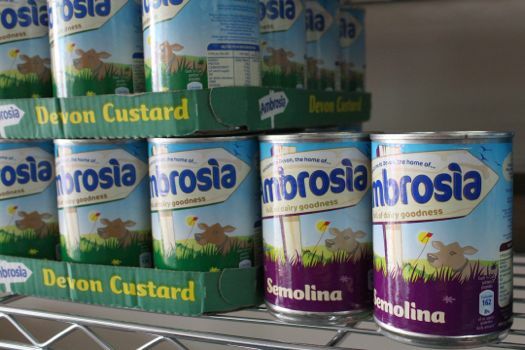 Josh - we were there today, and they do have several different brands of canned mushy peas!